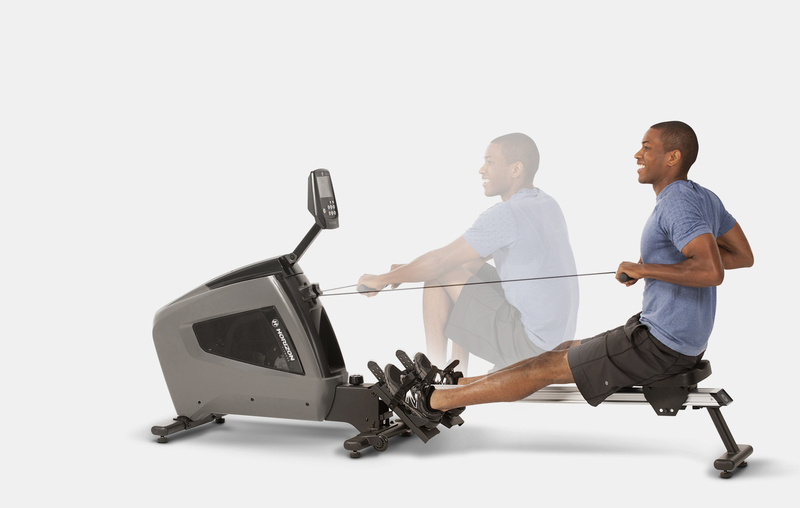 The Vision Oxford Rower will work your whole body with a smooth, natural motion. The console pivots for easy viewing and you can grab a drink without breaking your form with the front-panel storage that keeps your water within reach while you exercise. Rated “Excellent" at 93% by ETM Test Magazine, a reputable German publication dedicated to informing consumers through objective, non-biased product testing. The Vision Oxford rower is built for comfort and durability. The rowing experience is unlike any other, so smooth you'll feel like you're rowing in the water. 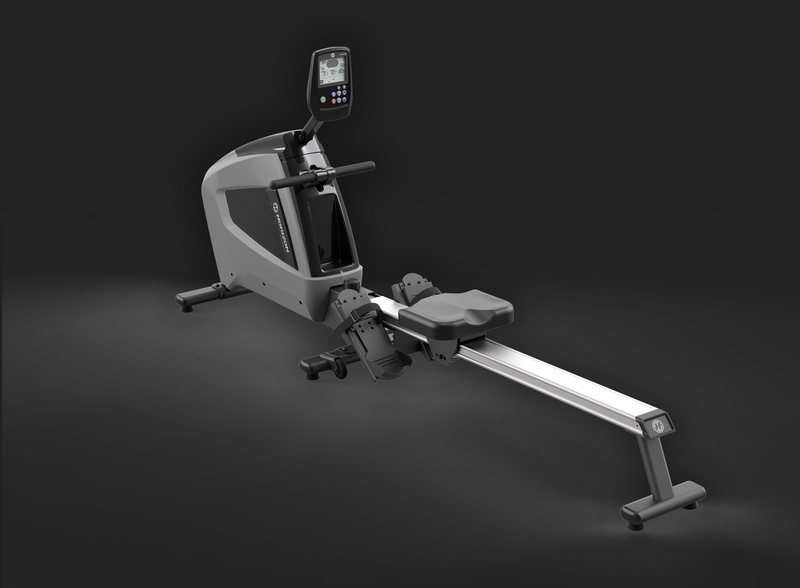 The Vision Oxford Rower is built to fit your body perfectly, it's ergonomic design uses every inch of space, while taking up little space in your fitness facility. The easy-grip handles allow you to complete each workout without sliding around. The resistance is the power behind a rowing machine workout, complete each workout with the power of air resistance to achieve the most natural rowing experience. We are the authorized dealer for Vision Fitness in Nevada, Arizona, California and Utah. Vision Fitness designs award-winning fitness equipment, including treadmills, elliptical trainers, fitness bikes and strength equipment for the home fitness and commercial fitness markets. Our professional team of consultants utilizes their experience to fully understand and anticipate the needs of our residential and commercial clients. Our vast selection and extremely competitive pricing ensure that you'll find the right equipment. In conclusion, we always strive to provide the highest quality of service after each and every sale. We are always there to answer any questions you may have and to provide continuous care with your purchase. Our relationships don't end with the delivery of our customers' products, this is only the beginning. Hover over the stars to read about the special features that make rowing on the Oxford 5 a natural and comfortable workout. 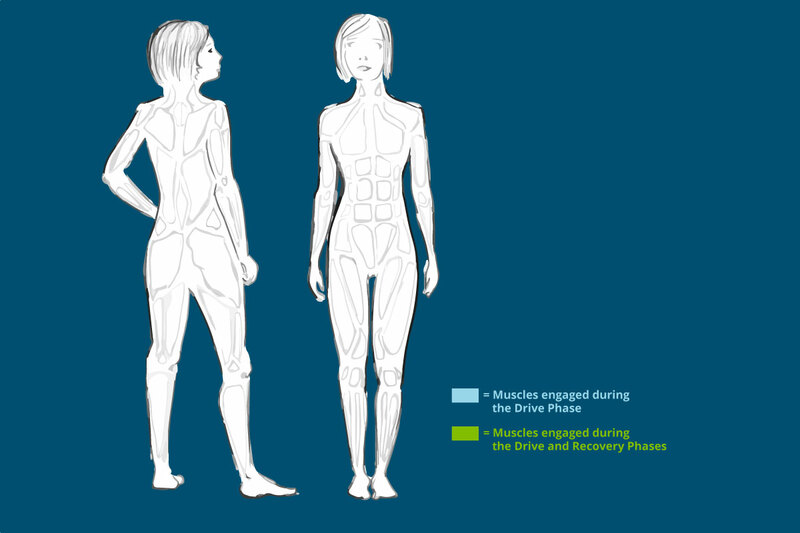 Hover over a muscle group to see how they are activated during a rowing workout. It’s no surprise rowing machines are beloved by CrossFit® enthusiasts; they provide a challenging workout that can get you into shape fast. Rowing requires both a pushing and a pulling motion — so you can engage your whole body with almost no impact. Engaging large muscle groups burns more fat and makes for a more efficient workout. Rowing has such a transformative effect on the body because it strenthens the posterior chain, the series of muslces along your backside that are responsible for hip extension. A strong posterior chain prevents injury, preserves healthy movement and is directly linked to athletic ability. I like to integrate rowing into my clients’ workouts. It’s the perfect low impact, total body cardiovascular challenge to complement their strength training regimen and great cross training for runners, cyclists and swimmers who may benefit from more posterior chain activation. Dimensions (L x W x H) 253 x 54 x 101 cm / 100" x 21" x 40"
Folded Dimensions (L x W x H) 111 x 54 x 163 cm / 44" x 21" x 64"
Product weight 55 kg / 121 lbs. User weight capacity 130 kg / 300 lbs.